National Zoo & Aquarium will today join with Wellington Zoo and Wildlife Reserves Singapore in signing a memorandum of understanding (MOU) to promote education and information sharing across the city’s zoos. It’s the first international agreement between Canberra, Singapore and Wellington signed on home soil, and creates an unprecedented level of cooperation and sharing between the three wildlife organisations. 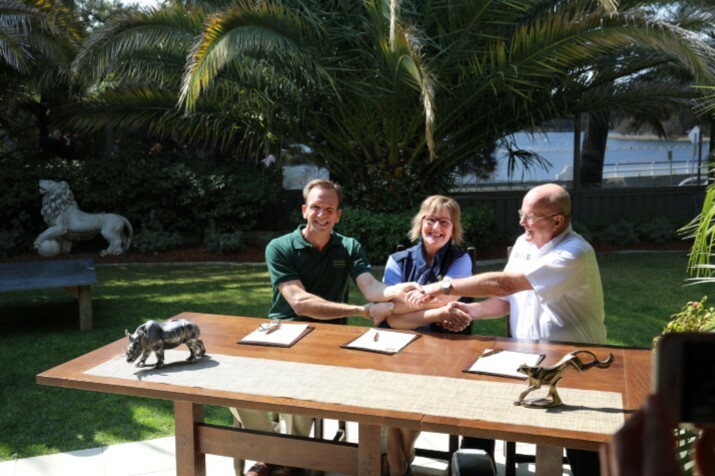 The MOU was signed today between the National Zoo & Aquarium director Richard Tindale, Wildlife Reserves Singapore CEO Mike Barclay and Wellington Zoo Trust CEO Karen Fifield. Canberra's National Zoo and Aquarium has signed a Memorandum of Understanding with 2 other international wildlife organisations.The agreement aims to boost animal welfare and conservation globally.